Presenting Jackaby #1 Jackaby by William Ritter. Enjoyably quirky and exhilaratingly adventurous. 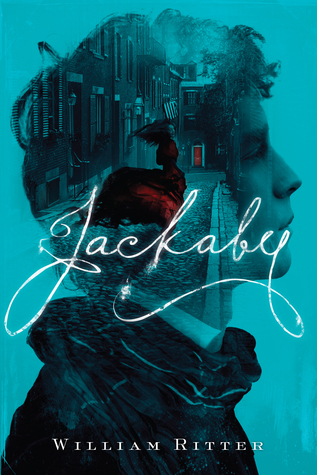 Jackaby marked as Doctor Who meets Sherlock, provides for mystery and murder tinged with the paranormal and the supernatural. R.F. Jackaby and his new assistant Abigail Rook form an unlikely pair of detectives where the first is the seer of the paranormal and the latter is as ordinary as her boss is extraordinary. Richly detailed and exotic in view, Jackaby spins his tale through the eyes of Miss Rook. in an astounding chronology of events. While the culprit is rather easy to spot once we are faced with all the facts but it proved a fun adventure nonetheless. Jackaby is as awkward in company as he is proficient in his skills as a detective. While Abigail Rook on the other hand may have no sight to the supernatural world to call her own but she was brave quite bold in her own right and able to stand upto others when needed. Of course you can't discount the ghostly house mate, a rather temperamental frog and the assistant turned-duck amidst all of the paranormalia, set the tone of the tale perfectly. Well done Mr. Ritter. "A must read for all the Doctor Who and Sherlock fans"